Purchasing a second-hand item in an opportunity shop is like drinking a good wine. A strange and perhaps not very appropriate analogy, you might say, but I have never found any other shopping experience to be as unique as this. Like the habit of wine consumption, it is an “acquired taste”, preferred by some but is never a universally accepted or favoured practice of all mankind. Some approached it suspiciously and might be deterred from taking a second sip forever after sampling the harsh and sophisticated aftertaste of a glass of dry red wine. After all, you never know what you will be getting in a second-hand shop: the vintage dress you picked up will not have the industrial fragrance present in a brand-new piece of clothing, and the yellowish pages from the old books collection will never emanate any fresh appealing scent commonly found in unused books. Questions run through your mind like an unstoppable stream: are the products defective, hygienic, sub-standard, lacking in warranties? Who were the owners and what were the stories behind those eccentric bric-a-bracs sitting mysteriously on the display racks? But trust me, once you have gone passed the obstructive stage and got hooked to the addictive habit of frequenting opportunity shops, there will be no turning back. The shopping experience is always fun and unpredictable, infused with positive expectations and anticipations. It is a perfect adventure, an explorative quest, a discovery expedition of unknown gems and treasures. Most importantly, it is a pleasant journey knowing that for every item you purchased, the proceeds of which will end up in a good cause, be it to assist a homeless in need or to contribute to an emergency relief fund. Prahran is one of those affluent suburbs in the inner Melbourne where numerous charity shops can be found amidst the upscale fashion boutiques, stylish cafes, trendy pubs and rare delicatessens. 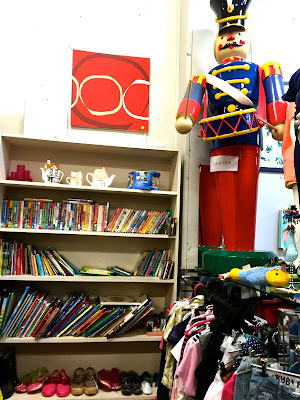 If you are taking a stroll from the north of the fashionable Chapel Street, turn right at the junction into Commercial Road and you will reach your first opportunity shop: the Prahran Red Cross, sitting strategically across the famous Prahran Market. Cluttered in a not very big space is an assortment of chic and occasionally branded fashions, from designer platform pump, elegant clutch bag and leather sport shoes. Our delirious finds of the day include a Ralph Lauren baby romper, John Lewis newborn onesie, and an ErgoCocoon winter swaddle – all in good condition and sold at an unbelievable price of $3 each. Continue your journey down to the South of Chapel Street and you will soon arrive at the Mecca of opportunity shops, where several amazing second-hand stores colonized along the area near the High Street. 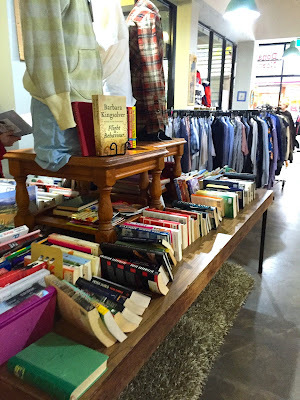 You could first rummage through the huge wire basket placed outside the Prahran Mission store and pick your bargain books at $1 each, before stepping into the store and browse through those abstract paintings, glass utensils, and formal business shirts for men. If you fancy something swanky, the Salvos store down the road will be your ideal shopping place, where glamour, posh and relatively expensive price tags are just few of its characteristics that make this extremely spacious shop stands out from the rest. The groovy jazz music at the background and the careful display of items accentuate the classiness of the store. This is the place where you can find rare vinyl records, antique Victorian sofa, quality cookware and stylish female apparels. 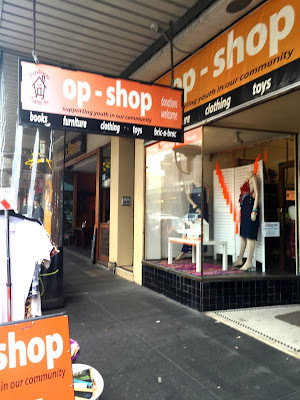 The Storehouse Charity Op-Shop with its bright orange signage is another excellent bargain centre where you can find excellent collection of DVD series amidst the junks and treasures of all kinds. 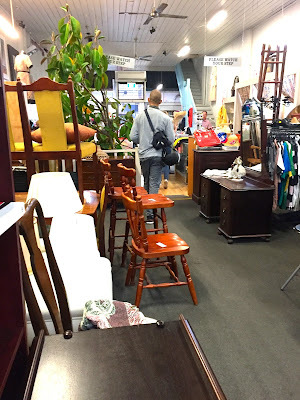 The Sacred Heart Mission store located right opposite is a trove with a huge floor space containing numerous bizarre trinkets and homeware, furniture of varied styles and designs, and curated artworks.